Today, the confusion surrounding the afterlife is more widespread than ever. Yet, according to the Bible, knowing the truth about life after death is a critical issue in these end times. So what does God’s Word say about it? In easy-to-grasp terms, Dwight Hall expertly dissects, with a biblical edge, the two most commonly held beliefs of Christians to reveal what really happens to us when we die. It’s the perfect Bible study for you and for sharing. 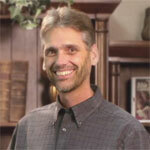 Dwight shares his faith through the ministry of Remnant Publications. Since 1985, Remnant has printed and distributed millions of books and literature with the sole purpose of leading people closer to Christ. Dwight has shared his testimony across the United States, as well as in South America, Korea, Australia, New Zealand, and Europe.